This place is surprising with its elegancy of misterious interiors. 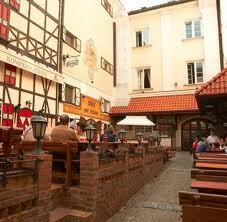 Restaurant has a great location in the area The Old Town, nearby the Royal Castle. Iit is a charming restaurant with excellent food to match. The restaurant offers modern interpretations of traditional Polish cuisine, beginnig with an excellent range of fish dishes as catfish & bacon roulade or Zucchini wrapped perch in orange or ginger sauce, and moving on to classics such as wild boar, rabbit and venison. In one sentence: amazing place offers very good service and excellent food. “Podwale 25 – Kompania Piwna” restaurant is a very unique place, it brings to mind places characteristic for Czech Republic or Germany. In the summer time the restaurant opens fot its guests summer garden. “Podwale 25” restaurant is famous especially for beer and some traditional Polish dishes like: pork shank, trout or delicious duck.Apart from steady menu the restaurant offers seasonal dishes as well. “Karczma u Dedka” restaurant is located out of the busy center of Warsaw. It lies in a lovely park at the lake side. 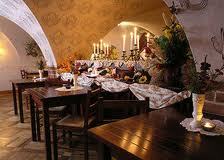 It is a traditional restaurant that serves tipical Polish cuisine. In this restaurant you can listen to old folk music. The restaurant is located in the historical Chodkiewicz family palace. 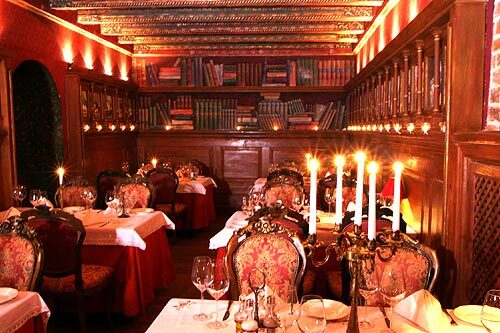 The restaurant has been visited by famous Poles such as Frideric Chopin, Maurycy Mochnacki and Joachim Lelewel. Traditional polish cuisine. The restaurant caters for company events, weddings or family parties. During summer time, the beautiful garden for 150 guests with fountain is open.